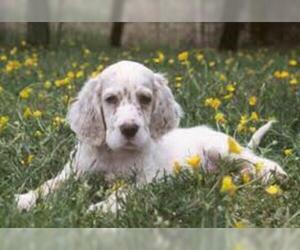 Overview: The English Setter is sweet and mild-mannered. 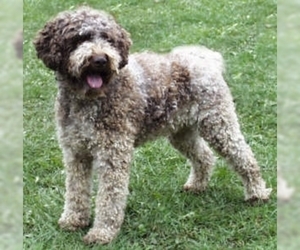 An active dog, he will be a welcomed and devoted member for any family, happily joining you in just about any outing. Colors: Black & white, white & orange, white & lemon, white & chestnut or tricolor. 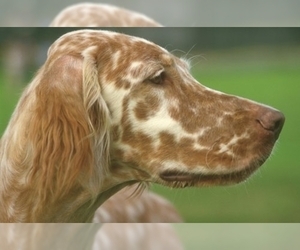 Speckling may be present.Flecks of these colors - over a white ground color. 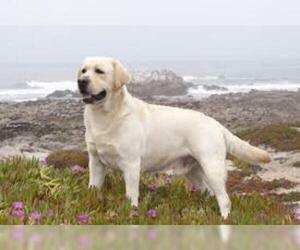 Puppies are born white, except for those with solid patches. 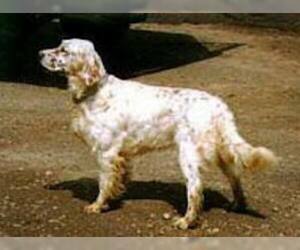 Coat: Flat with feathering on the ears, underside, backs of legs, underside of thighs and tail. 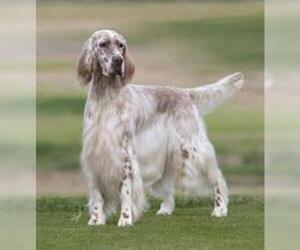 Character: English Setters are friendly, intelligent, and sensitive. 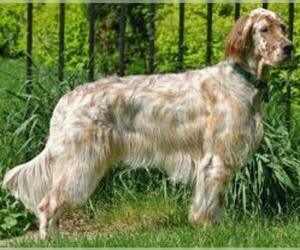 Care: The English Setter should have its hair clipped or trimmed periodically.Brushing every 2 or 3 days. 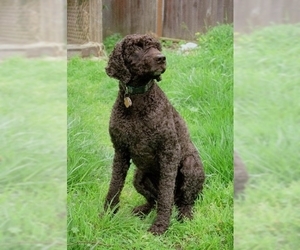 Training: This breed requires a consistent and loving approach from the trainer. 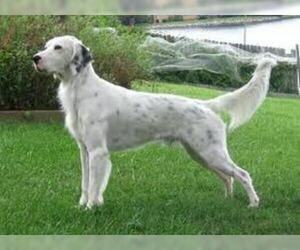 Activity: The English Setter needs a lot of exercise, including regular long walks. Make sure you have a fenced yard with this one! 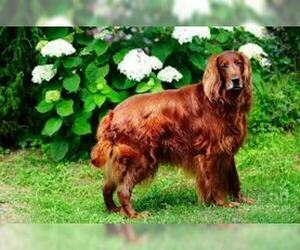 Health Issue: This breed is prone to hip dysplasia and weight gain. Displaying 16-20 of 32 result(s). Colors: Mahogany or rich chestnut red. Colors: Solid black, yellow, or chocolate.